Employee complaints are not uncommon in an organization. It could be about an annoying colleague or an exploitative manager or some unmindful company policy. Well, regardless of the nature of the complaint, the employee is needed to state the grievance in a written format and send it to the HR manager for an assessment. This is where the HR complaint form comes in. 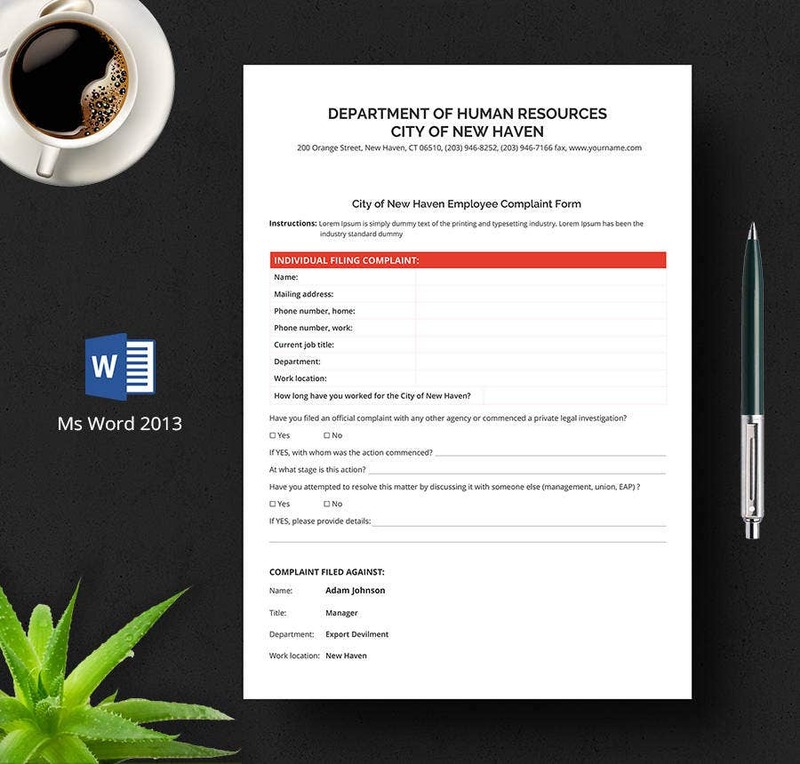 These forms are maintained by the HR department and are given to the employees whenever they have to file a complaint. 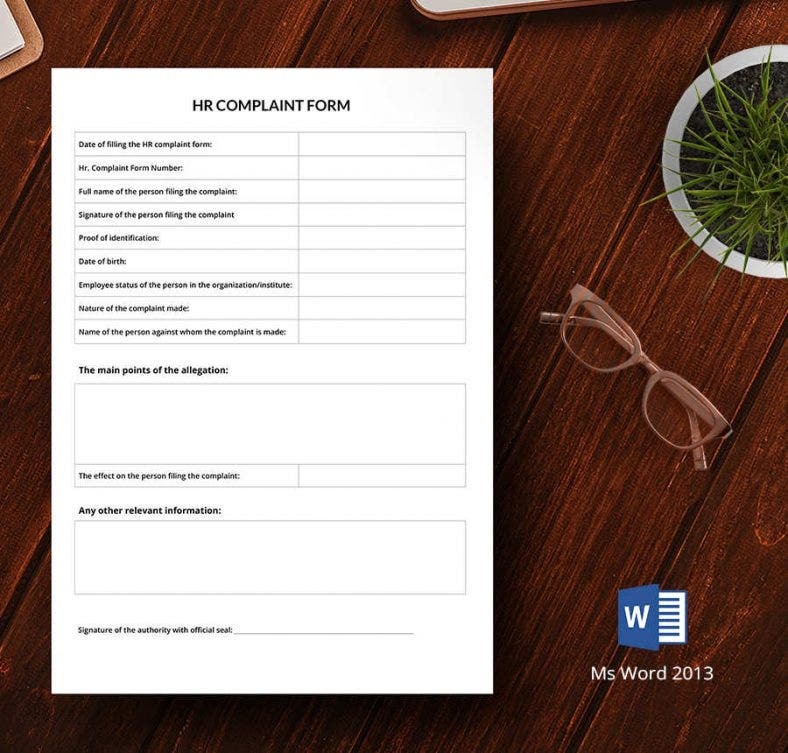 This HR complaint form enables the employee to state his name, job and contact details as well as the data about the person the complaint has been filed against. It will also allow you to state the stage in case any action has been taken regarding the issue. 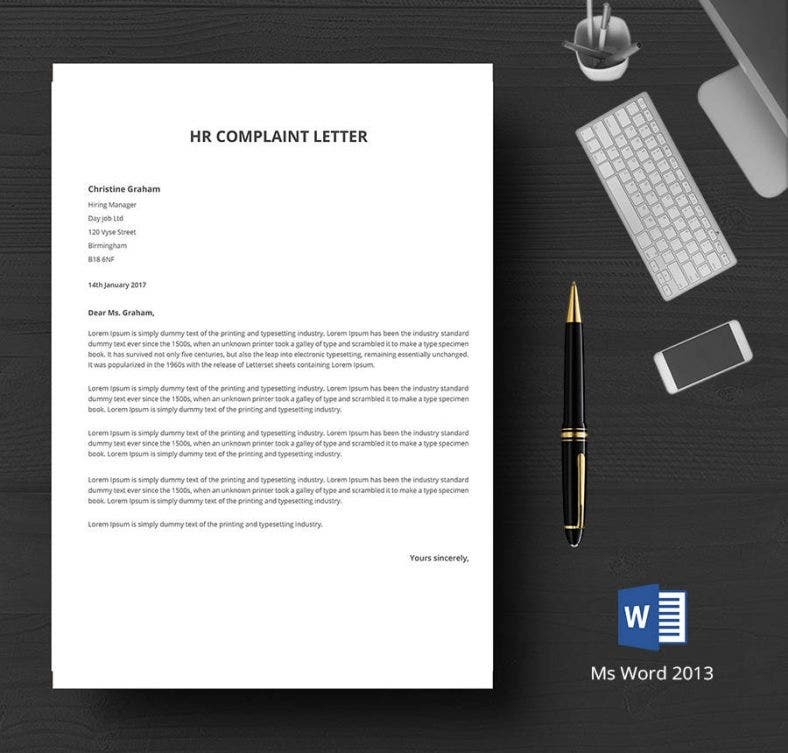 If you wish to write a well-defined complaint letter to the concerned HR department, then feel free to use this HR Complaint Letter template. The entire document can be easily modified and customized according to your needs. This HR complaint form will enable the complainant employee to note down the details about his supervisor and representative, if there is any case of representation. There is also space to mention complaint guidelines by the HR manager. 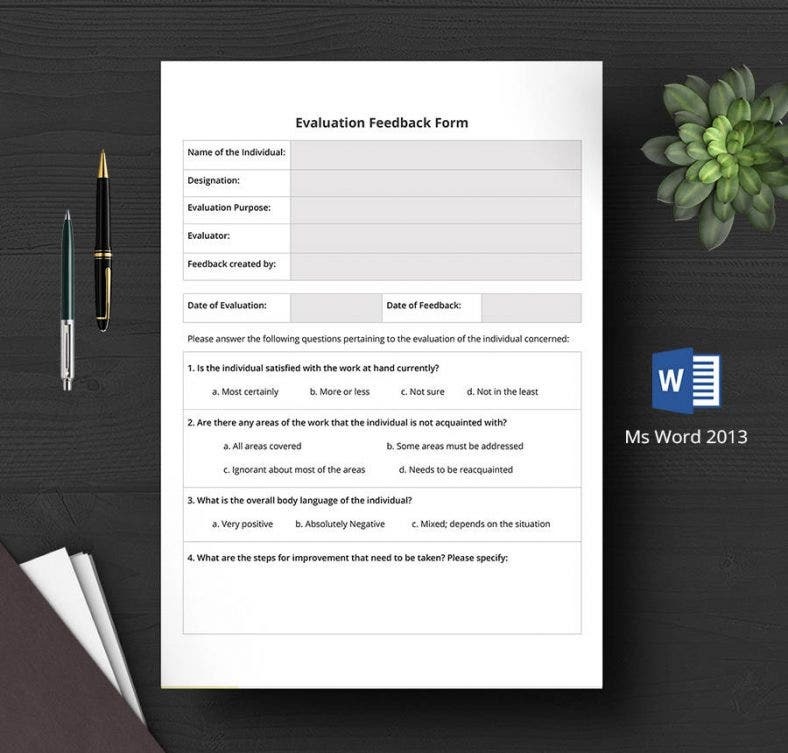 This HR form will help you to offer a report on the assessment of an individual working in your organization. The form will allow you to notify the satisfaction level, overall attitude and scopes of improvement for the person. 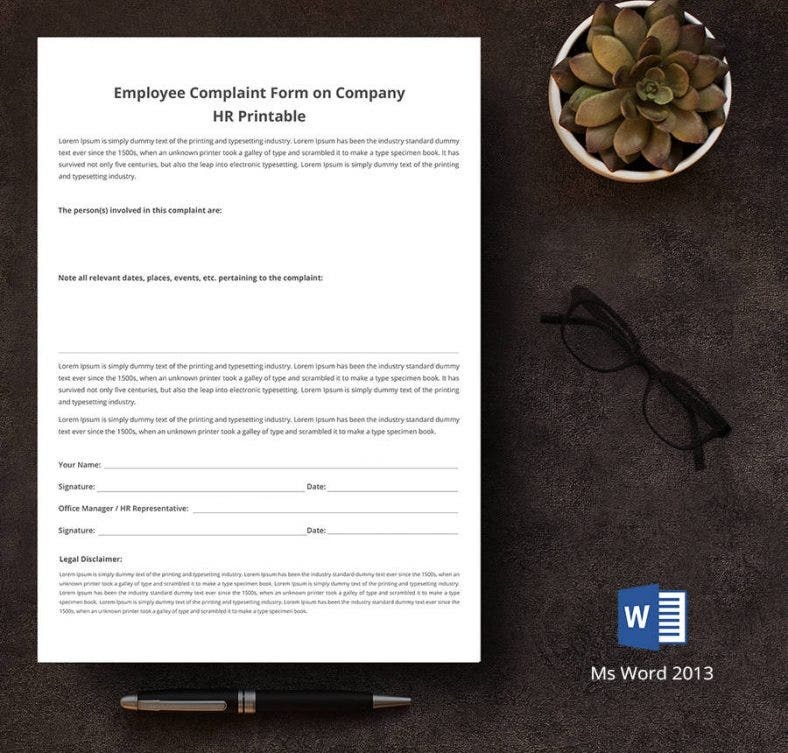 If you wish to use an HR complaint document that can enable the employee to file the complaint in details, followed by suggestions on addressing the issue- this HR complaint form would be the thing for you. 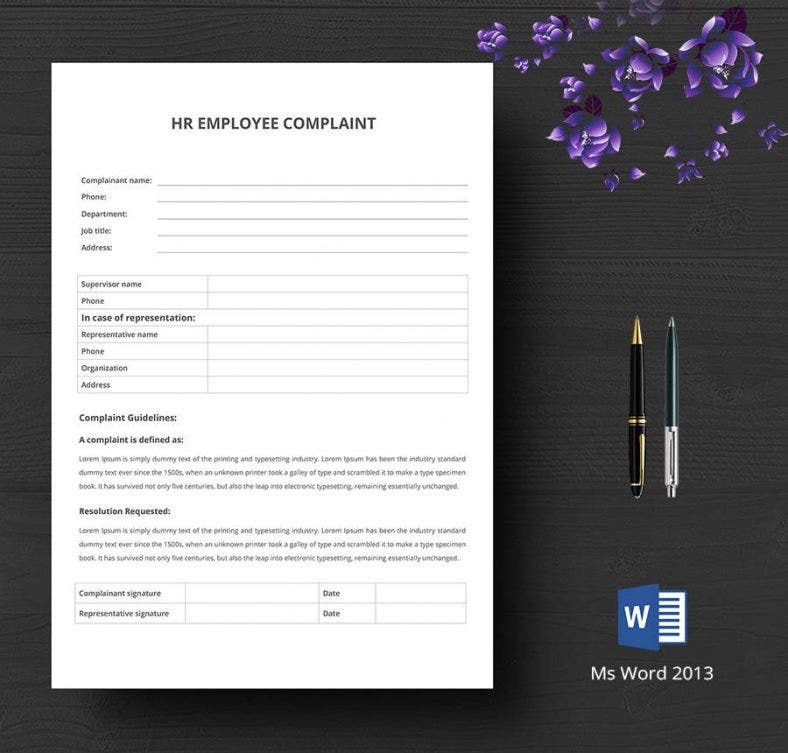 Apart from the basic identity details about the complainant, this HR complaint form offers sizeable space to the employee to elaborate about the allegation and produce additional relevant information as well, if any. 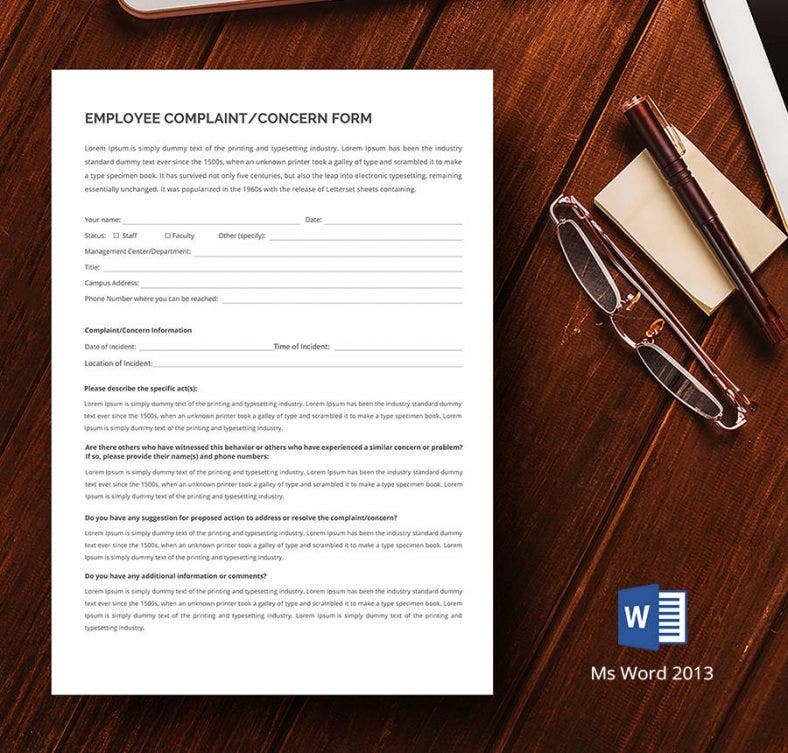 The HR complaint form talks straight to the point by extending considerable space to write about people involved in the issue as well as places, dates and events related to the problem. There is also space for basic details on the complainant employee.